This is a project that I have been meaning to do for quite some time. Over the years, I have accumulated several pashminas. I break these out every fall and winter to keep warm while roaming the streets of Toronto. However, I have always found wrapping them around my neck to be awkward. I’d either wrap them around in such a fashion that it would provide me with the most warmth, but not look fashionable, or I’d tie them up in a way that looked fashionable, but my neck would be freezing. 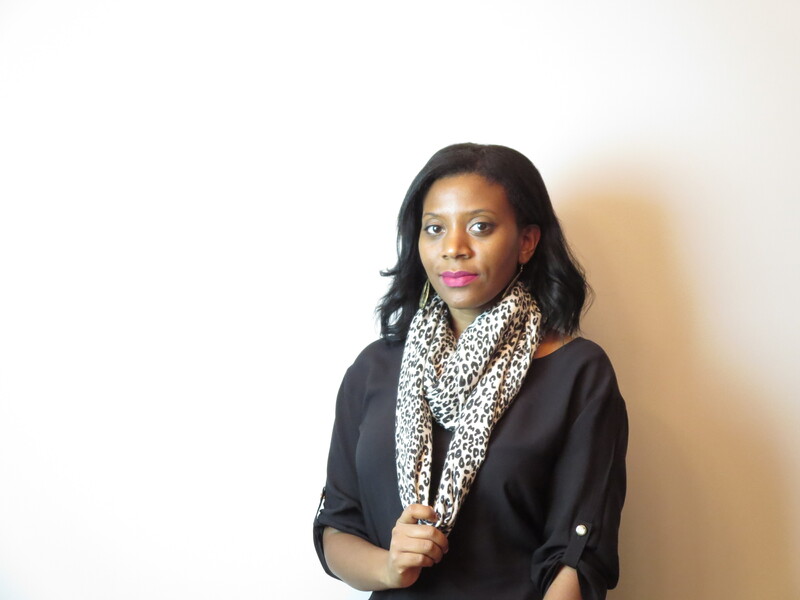 I have a couple of infinity scarves that I like, as they are easy to wear and always look chic. It got me to thinking that I should just transform my pashminas into infinity scarves. I finally bit the bullet and completed this transformation on 2 of the scarves that I liked the most. Let’s talk about how I went about this DIY. Before any sewing took place, I cut off all the fringes using my pinking shears (if you don’t have shears, you can use regular scissors). I was sure not to cut the scarf itself, just the fringe. I opened up my red scarf, and identified which side was the “good side” and the “bad side”, with the “good side” being the one to be more exposed. With my red pashmina, the difference between sides was negligible, but I folded the scarf wide-wise with the “bad side” exposed (if this seems confusing now, don’t worry, it will make more sense when I show the leopard-print scarf). I joined the ends together and pinned them all the way down, about 3/4s of an inch down. The thread in my sewing machine was already set up. I sewed alongside the pins, reinforcing on each end. After I sewed this part, I folded it over and sewed the area again. I turned the pashmina inside out, and voila, my infinity scarf was made! With this material, the difference between the “good side” and “bad side” is more pronounce. On the “bad side”, the leopard prints are lighter, much more muted. While sewing the initial seam, this is the side we want exposed. I joined the ends length-wise and pinned them together. At this point, I was ready to sew, reinforcing the ends. At this point, the scarf is essentially a tube. I turned the scarf inside out, so that the good side was exposed. 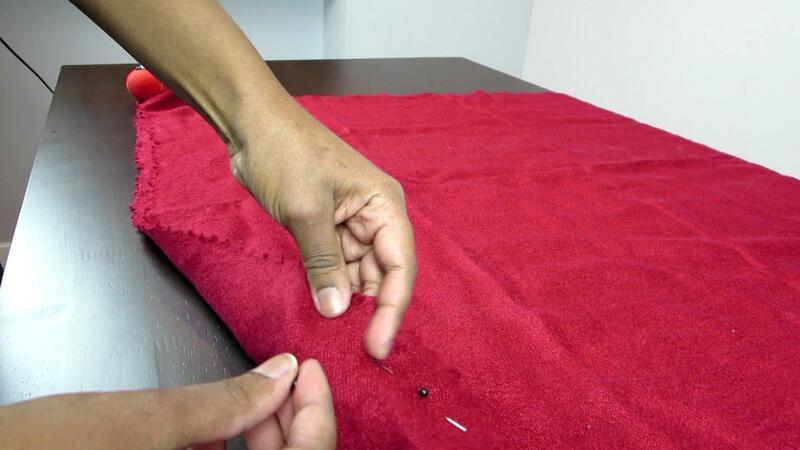 Now it was time to join the width-wise edges, pin them together, and sew a seam. To reinforce it, I folded it and sewed the same part of the scarf a second time. There was some excess exposed fabric after I was finished sewing. I cut them off with my pinking shears, to prevent it from fraying too much. I turned the scarf around, and just like that, I finished the second scarf. This was a really simple DIY that only took me about 30 minutes to complete the two. 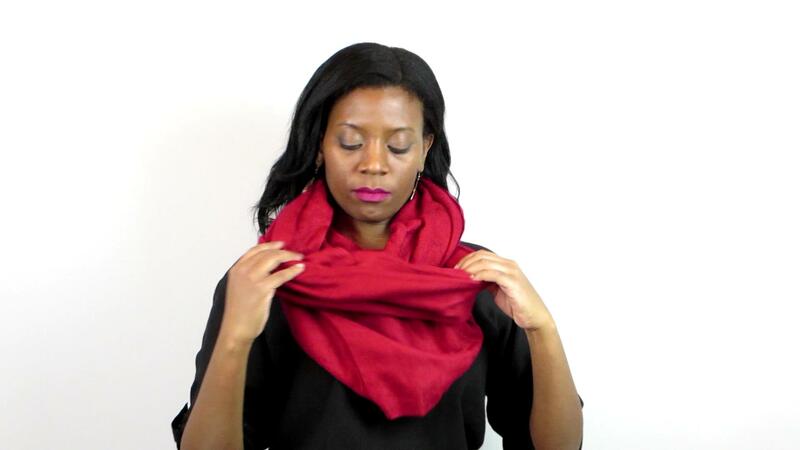 Transforming a basic scarf into an infinity one is a great way to add a little interest into something mundane. It also makes a great gift, for a birthday or just because! I suggest you try it on one of your scarves!